Boating Safety Series: What is a Small Craft Advisory? In our area, we often turn on the morning news and hear that a “Small Craft Advisory” is in effect? We may all be accustomed to hearing this, but, surprisingly, other than “exercise caution,” many boaters really don’t know what exactly what a Small Craft Advisory is or that the single red pennant shown below is the standard marine flag indicating that a Small Craft Advisory is in effect. What is a Small Craft Advisory? In general, a weather “Advisory” indicates that special weather conditions are present that may cause significant inconvenience and that could lead to life-threatening situations if caution is not exercised. Thresholds governing the issuance of Small Craft Advisories are specific to geographic areas. In our area it indicates that sustained winds of 20 to 33 knots (23 to 38 mph), and/or forecast seas 7 feet or greater that are expected for more than 2 hours. There is no exact definition of what is a “small craft”. The guideline is that any vessel that may be adversely affected by the weather conditions of a Small Craft Advisory should be considered a small craft. Other considerations include the experience of the vessel operator, and the type, overall size, and sea worthiness of the vessel. In more severe weather conditions, a “Special Marine Warning” may be issued, indicating potentially hazardous weather conditions usually of short duration (up to 2 hours) producing sustained marine thunderstorm winds or associated gusts of 34 knots (39 mph) or greater; potential hail, waterspouts, squall lines, etc. Aside from determining how nice (or not) your boating day and chances of catching your favorite fish will be, the weather forecast tells you how safe local weather conditions are expected to be. So, before you get your bait and your gas, make it a habit to check the forecast and think twice before venturing out if a Small Craft Advisory is in effect. Another place to check is the National Buoy Data Center which allows you to access weather conditions being reported from navigational buoys all over the world, including wind speeds and direction; wave heights, direction and duration; and air and water temperatures. 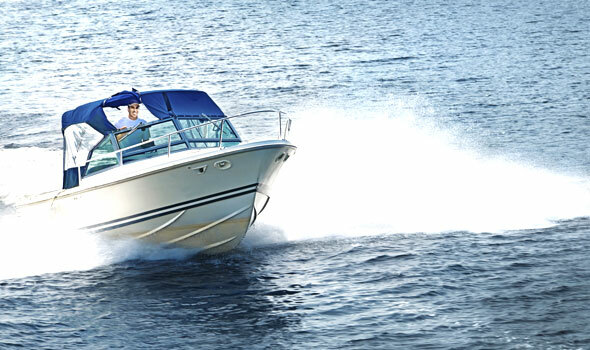 The attorneys at Heintz & Becker encourage all boaters to follow safe boating practices. Weather conditions can go from good to bad quickly in our area, so always check the local forecast before heading out. Boat owners, remember, you are not only responsible for your own safety, but you are also responsible for the safety of your passengers. If you have been injured due to someone else’s unsafe boating practices, please call us to discuss your legal rights.